If you’re a Doctor Who fan, you’re fully aware that sometimes people get left behind. In the case of Mickey Smith, he chooses to stay in an alternate timeline where his grandma is still alive (but his counterpart isn’t). 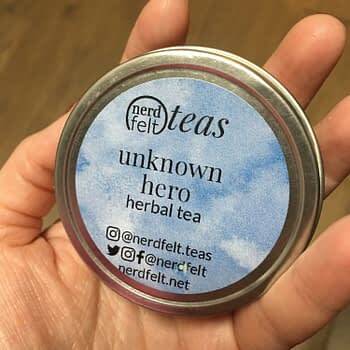 When Nerdfelt Tea was looking for an appropriate name for a tea based on Mickey, I thought for a quick second about what he means to the timeline his (now ex) girlfriend — Rose Tyler — lives in. He is in fact an unknown hero. 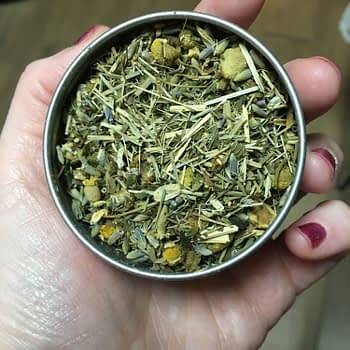 This tea has chamomile, lavender, peppermint, and lemongrass inside, and it smells amazing. The lemongrass and peppermint go well together, and the lavender has a nice soft presence as well. Taste-wise, peppermint is the dominating flavor. This tea would taste great hot or cold, and would be ideal for early mornings. 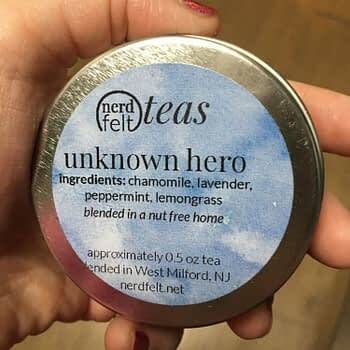 I’m really enjoying how delicious this tea is — it may just be my favorite from Nerdfelt!